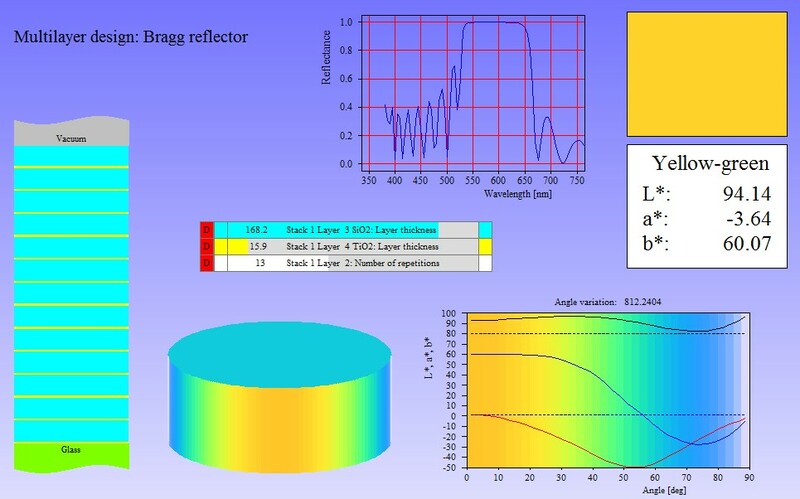 The angular dependence of the color of coatings can now be visualized in more ways. In addition to charts showing the variation of L*, a* and b* with angle you can now use a direct visualization of color in the main view. You can introduce a colored background of the chart or show the appearance of a coated cylinder as shown in the example below. Like all view elements you have instant update if a parameter slider is moved.